Can Someone Steal Your Book Idea? Absolutely! YES! Someone did that to meeee! NO WAY. Never happens. It’s impossible, because your idea can only be written by you. To be honest, I think both of these answers are a little too black and white. If I had to share my opinion—which, obvs, I am—I believe “stealing an idea” lands somewhere in the middle of these two responses. I mean that I agree with both of them. Because, yes, someone can steal your idea. If you hand them your pitch or outline or character sheet, those people can take it and do something with it. Granted, now siding with the second answer, no matter what that person does with your idea, it will never be exactly how you would’ve done it, so one way or another, they will make it their own. I think this is one of those gray, really uncomfortable areas of publishing that many people tiptoe around because they are afraid of looking paranoid or offending others or causing an uproar, but why can’t we talk about it? Why can’t we talk about the fact that this does happen sometimes? When I was younger, lots of writers were on Wattpad; many of which did blatantly “borrow” premises or literal lines from one another’s work without permission. In fact, sometimes I think this happens a lot when writers transition from writing fan fiction to writing something independent of other works. Fan fiction can be a fantastic place to learn about the craft of writing, but it is one of those blurry places. So is “inspiration.” For instance, we can be inspired by another tale, and recreate it into something new. We never call a fairytale retelling stealing for a reason. That’s because those writers are making that tale their own. It’s unique in the way they reconstruct the story and how they tell the story throughout the piece. But what if someone took Harry Potter and retold it? Would everyone be okay with that? I think it would depend on how similar the two pieces were and what was changed. And to be honest, it wouldn’t surprise me if we see something like that happen sooner rather than later. So let’s talk about those blurred lines. You know, the ones that happen when #PitMad tweets suddenly seem the same, or how similar novels get sold to different editors at the same time, or how novelists will use current best-sellers as influences when writing a piece. We could get into trends and talk about how publishing is still a business and la la la. But I could go on forever about that, so I thought I’d share a story of my own. I’ve had something like idea stealing happen to me before. About two years ago, when MSWL was first taking off, I had my first manuscript I felt was ready to query to agents, and I found a new agent on that hashtag that I thought was a good fit. I sent her my work. She loved the sample pages and requested more, and then she asked for an R&R, outlining what parts she liked and didn’t like. I rewrote, but it still didn’t work out. Not a big deal, right? Right. I totally agree that we weren’t a good fit for one another with that manuscript. However, to my surprise (and a bit of horror), when I logged into Twitter that evening, she had tweeted out a near-replica of my manuscript’s pitch to MSWL. Long story short, another author out in the Twitter verse responded to that sort-of-mine-pitch (seriously, I wish I could explain how close it was, but just trust me, it was unbearably close), and she signed that author who later went on to get a three-figure deal in less than six months. Granted, the book releases later this year, so I have no clue just how similar it is. I doubt it’s that similar. That’s not what bothers me. What bothers me is that I felt like there was a direct violation of author-agent trust. She shared my pitch without asking me, end of story. So did that agent steal my idea? No, not really. Because she didn’t go and shop my story pretending she had written it. She simply reached out to others who happened to have a similar idea to mine already written. But was it shady as hell? Yes, I think so. To this day, I have anxiety around MSWL because of it, even though it was one instance that I doubt would happen again. In fact, I still sent my next manuscript to this agent, because she asked me to send her my next piece. Her response? Form rejection. But did she tweet out my new idea on MSWL? No. How do I feel now? Still a little weird about the whole thing, I won’t lie, but I don’t think any of it was that personal either, even if it feels that way some days. Sometimes many of us have similar ideas at the same time. Why wouldn’t we? We all live at the same time in this weird world, often influenced by the same constructs (whether it be celebrities or politics or social scandals). So, it shouldn’t be a surprise when a dozen, if not hundreds, of writers are writing similar stories. To be honest, I think this is what happens most of the time. We share our idea, someone already has a similar idea, and we automatically think they stole it rather than thought of it themselves. But there’s truly no way to prove it. And that’s why this topic is such a sensitive, slippery slope. The masses in publishing have deemed this sort of claim as immature rubbish, but I think that’s super harsh. After my experience with having my pitch shared without permission, I felt a little violated. I actually stopped participating in many Twitter events for most of last year because of it. But then, I realized that I let this one shady experience ruin all the fun times I was having with other writers. So, I started to share again, and I am having a blast. If someone “steals” my idea, fine. I have plenty more, and so do most writers. In fact, I think writers really need to keep that in mind when considering if someone “stole” their idea or not. Most of us already have too many ideas in our own heads to have time to consider other people’s ideas. Also, most writers need to feel passionate about something in order to write 80,000 words or more, and then rewrite it over and over and over again. “Stealing” an idea is probably the last way to become successful. Why? Well, A) It’s not your story, and B) You will eventually burnout, or C) The publishing gods will sick writing-idea demons on you, and you will forever be on the ominous blacklist. Okay. So maybe not that last one. But you get what I mean. Someone “stealing” ideas is probably very rare, but if you’re feeling that way, take a few breaths and reflect on if it’s truly stolen, and if so, don’t let it get you down. You thought it up. You planned it out. You can still write it. At the end of the day, your story will always be your story. Besides, your voice will be how you tell your story. And no one can steal that. #MondayBlogs Feeling Down About Writing? Here’s How To Write Again! Recently, I felt down about writing. When I sat at the computer, the words didn’t flow, and when I walked away, the urge to try again was gone. I struggled and searched for the reason I was struggling and continued to struggle again. Honestly, my “down” period was caused by the holidays, and let’s be honest, 2016 was one hot mess. But now that we’re into 2017—and many of us are typing at full speed ahead to meet our New Year’s resolutions—there’s bound to be a time when you feel down again. How can you feel better about writing when you aren’t feeling so great? Well, there are plenty of ways. In fact, there are so many ways, I asked my fellow Clean Teen Publishing authors to share their secrets to get back on the keyboard. Along with all of these wonderful writers, I think stepping away, listening to music, reading your favorite book, or visiting your favorite café can help clear your mind of whatever’s holding you back. Sometimes, it just takes time, and I have to remind myself that writing is not a race—that my mental and physical health is important, too. Sounds simple, but it isn’t. I always joke that I’m a Triple A personality. I’m constantly working, and if you catch me during a rare moment off, I’m probably thinking about working. (I could really use a hobby outside of reading and writing, but alas, I love them so much.) For me, visiting Barnes & Noble or a library and just surrounding myself with books can calm my soul. In the end though, one thought always finds its way back to me. 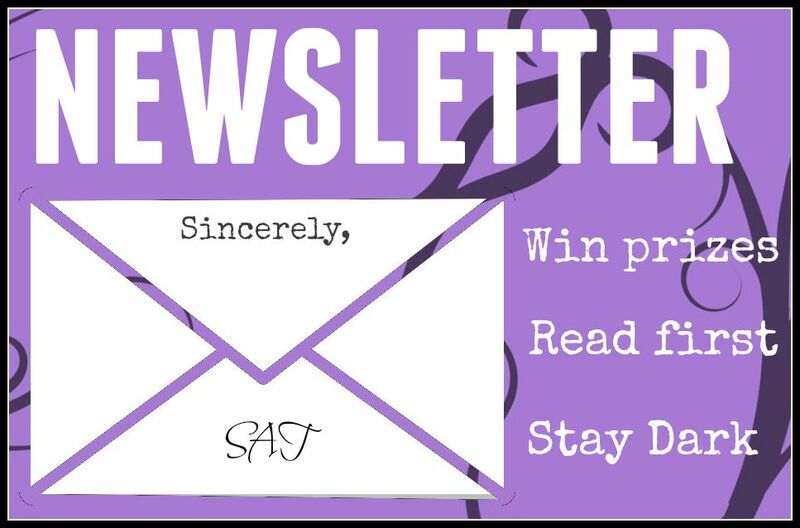 Be sure to visit all the awesome Clean Teen authors who made this post possible, and of course, good luck getting back on the keyboard. It might be difficult. It might feel impossible today. But every day is the start of something new and wonderful, and every novel starts with one word. Naming characters is really important! It can also be fun…and a little daunting. Choosing them can take hours, and on top of that, publishers might change them anyway. But that doesn’t mean you can’t enjoy the process. In this article, I’ll list a few aspects to consider while naming your characters, and I’ll include websites you can use as tools to find the perfect name. Remember most parents use iambic pentameter for names. The rhythm should work. On top of that, you can consider naming a character after another character. A son may be named after his father or grandfather. Last Name Meanings provides a list of last names and where they derived from, along with the meaning behind them. Of course everyone knows not to use names already used in very famous novels, but what about within your own book? Avoid repetitive names or sounds. You probably don’t want to name everyone with a “J” name. It’d be hard to follow Jack, John, Jared, and Jill around. Personally, I suggest making a list of characters names in alphabetical order so you can physically see what is represented. Consider start, end, and syllables. The exception generally happens within relationships. Example? If you have brothers, maybe they will have similar names, but don’t overdo it. Listen, we all know sci-fi/fantasy generally calls for unique names, but tread carefully. Having a character names Zzyklazinsky is going to be WAY too hard for a reader’s eyes. Sometimes, your best bet is taking well-known names and simply mixing them to create something more relatable but unique, ex. Serena + Violet = Serolet. Try NameCombiner.com to see what you can come up with. There are so many references on the Internet to find names. Other than those websites stated above, get creative. Pick up an old yearbook. You’ll be surprised how many different first and last names (along with rhythms) you can find. However, I suggest not using a person’s exact name, but rather use it as a reference. Maybe a first or a last. When I recently atteneded a high school graduation, I kept the pamphlet with all the names on it. There’s nothing like needing a quick reference – a real one – that isn’t online. Even funnier? A real Noah Welborn was on there. (My male protagonist from The Timely Death Trilogy is named Eric Welborn, but his little brother is named Noah Welborn.) Sometimes, reality fuses with fiction. And, of course, life in general. If you’re at a restaurant and notice your waiter’s name on his nametag, jot it down. Even if you don’t use it now, you might in the future…which brings me to my last point. Keep a list of names that you love (and maybe even why you love them). That way, when you’re ready to write another book, you have a notebook filled with ideas already, and you can start right away. A mixture of all these things creates a list of believable characters, and I really hope you’ll enjoy playing around with names more than before! I love writing from different perspectives. 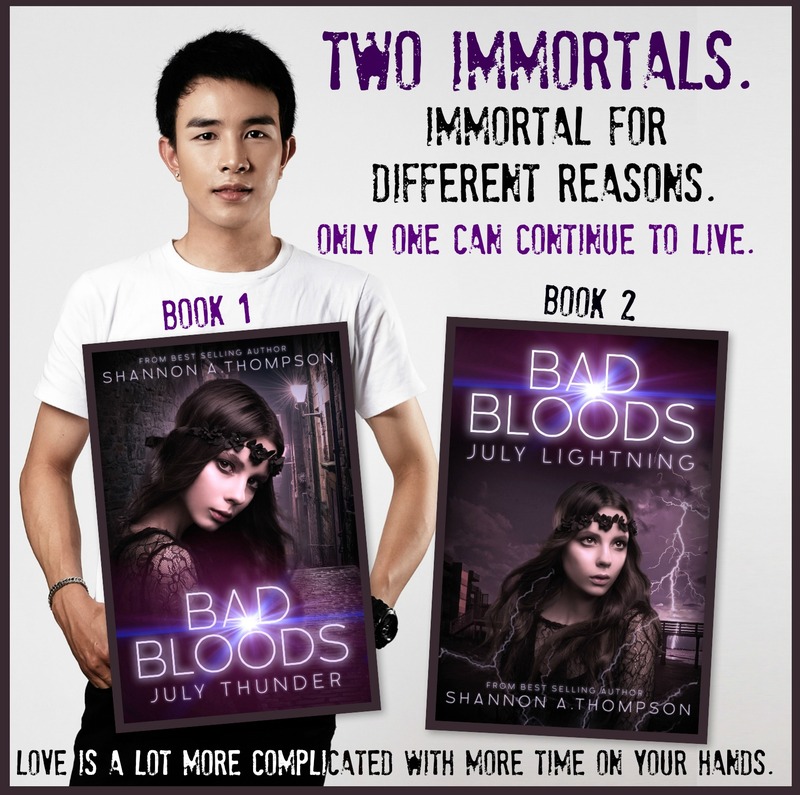 Both my YA series—The Timely Death Trilogy and Bad Bloods—are written in first POV but from two different speakers. I love using this technique for novel writing, because I enjoy first person, but I dislike how it restricts the storytelling to one character, especially when a scene would be better from a different perspective. So, I have two protagonists, and of course, there are complications that come along with this. What’s the most common question I am asked? How do you make each voice unique? I’ll provide a few aspects to keep in mind, but of course, this journey will be different for every writer and every novel. First, know that every character should have its own distinct voice. A reader should be able to open the novel and know who is speaking immediately. This is more difficult than it sounds, but it can get easier over time. The most obvious change between one voice to another is their unique perspective. What is their background? How do they feel? Where were they educated? Are they affecting the words, or are you? It’s important that characters have their own voice, and that voice will come out in combination with their personalities and backgrounds. For instance, your character who is a fashion designer would definitely use specific colors and fabrics to describe clothes, but your mechanic character might not. Just like authors have their own “voice,” so do characters. Because of their backgrounds, characters will have different vocabularies. One character may use very flowery language, while another may have less of a need to elaborate. Consider their education, where they come from, and what they might know. The way they speak should differ, whether they are talking out loud or explaining the scene inwardly. Sometimes, syntax can be used to emphasize certain speech patterns, but be careful not to overuse syntax. Too many exclamations or repeated habits/phrases can become tedious and boring rather than unique and fun. Sometimes less is more. Little clues are normally enough. Honestly, I think rhythm is often overlooked, but paying attention to subtle changes in sound and length of sentences is important. One character’s thoughts may drag on, so their sentences are longer, while another might make short lists to contain their thoughts. Like everything making up your character, a person’s rhythm will depend on their personality, background, and goals. It could even change from scene to scene, but consistency is key. All four of these women would tell a different story about this picture. Write a chapter in which the two characters are talking. Write it from POV 1, and then, rewrite the exact same scene from POV 2. Check to make sure the dialogue and the physical actions are the exact same, but then, compare the thought process. How did the scene change? What does this change mean? Do they each bring a unique perspective? And out of those perspectives, which one is best to use? As an example, two people can be talking and Person A could notice Person B is fidgeting. Person A may assume Person B is nervous, but when you tell it from Person B’s perspective, you learn that they are distracted, not nervous. These little bits can truly morph the way characters interact. I always encourage this exercise when starting out, even if the writer isn’t planning on telling from another’s perspective. So, you have an idea for a trilogy or series. Awesome! Writing a series can be a lot of fun. I mean, who doesn’t want to spend more time with their characters and worlds? But many aspiring writers aren’t sure where to start, and writing a series is a lot of work. With these three steps, though, it might be a little easier than you think. This step is important for your series whether or not your books will be standalones or need to be read in order. Each book should have an arc (and don’t forget that every character in your series should have an arc, too). On top of that, your overall series should have an arc. This means each book is building up to something by itself and working together to build up to something bigger. One easy way to do this is to consider your “sub-genre.” Maybe your first book of your paranormal romance trilogy will be a mystery (Who is the villain? ), while your second book will be a thriller (We have to run from the villain!) and your last book will be your adventure (We have to go after the villain!). This method ensures each book brings something new to the series, while also working through an overall arc (in the example’s case, defeating the villain). Again, this is only one method, but you can mix and match to study your series and determine if you are keeping your books fresh and exciting but also unified. Consistency is SO important. You might think you know your characters from top to bottom, but chances are, you don’t. We’re only human. We can only remember so much, and as your cast grows and changes, it gets harder and harder to remember every little detail. That being said, you must remain consistent throughout each book. You wouldn’t want a side character who is allergic to chocolate in book one to eat chocolate ice cream in book five. Same goes for scenes. If you’ve said a door was to the right, it better be to the right in the other books, too. Personally, I keep a file on places and characters, and I create an overall timeline. What’s a timeline? This tracks years before and during the books. This means if I have a character who says she broke her leg at five years old in book one, she says she was five in book three, not nine. Another file I keep is a summary of what was told to each character in previous chapters so I know what my characters know from scene to scene. It seems easy to remember, and it might be for some, but sometimes, we have to go work on something else or step away for a few months, and it can be hard to remember when you return. Keeping notes is never a bad idea. Writing a series is hard, even with a plan. But don’t fret! We all know that writers aren’t completely in charge of their characters, worlds, or ideas. Sometimes, the protagonist throws a curve ball, and everything changes. That’s okay! Think of writing a series like a road trip: You know where you’re starting, you probably know where it’s going to end, and you might have places you want to visit in between. But there might be some surprises along the way. Embrace them, and keep going. That’s where the fun is. And don’t give up! Following your dream is worth it, even if you have to rewrite that dream a couple of times along the way. In this article, I discuss lessons I learned while writing my first two trilogies. This week, Catelyn’s Story released on the FREE Bad Bloods Prequel on Wattpad. This is also the first origin story seen from the Southern Flock’s perspective. They formed later than the Northern Flock, so from now on, you’ll see stories flip back and forth between the two flocks. If you ever wondered why the groups of bad bloods are called flocks, this origin story explains why! In Bad Bloods, Catelyn is Serena’s best friend. Here is a preview: The girl was pretty enough for plenty of crimes. Read her story by clicking the link. First off, November Snow was rated YA(m) – Young Adult Mature – which means it’s written for a mature young adult audience. Romance: 2: The romance picks up in book 2, compared to book 1. Violence: 5: Also, no surprise here. Bad Bloods is a fairly violent duology, revolving around a political debate eradicating an entire group of people, which mainly consists of homeless children…but I promise you, the violence is not as graphic as the original book? Okay. That’s not saying much. But there is meaning behind it. The violence isn’t gratuitous. Language: 3: Still cursing a little bit…but I mean, you’re talking about kids trying to NOT be killed all the time, so let’s give them break, yeah? Drugs/Alcohol/Smoking: 0: No drug or alcohol use in the second part of the duology. The #1lineWed preview was lines from page 23 or 123. This line is from page 23. He confessed it like secrets were simply to share. I’m reading The Young Elites by Marie Lu! I’m almost finished, and I must say, I definitely love Marie Lu. I was also envious of her trip to Tokyo this past week with Amie Kaufman, author of These Broken Stars (which I also loved). I mean, they went to an owl café. An OWL CAFÉ. This is one of my ultimate dreams. I’m dying of owl envy. Lore is my latest podcast obsession. It’s a bit like Myths & Legends, but shorter and creepier. Lore also focuses on overall myths, like vampires/werewolves, while Myths & Legends discusses tales like King Arthur. I highly recommend both of them. Akagami no Shirayuki-hime—a.k.a. Snow White with the Red Hair—which happens to be one of my favorite mangas. I had no idea it’d been made into an anime, so I binge-watched season one, and I’m enjoying season two now that it’s releasing. Love them! And Louie. I watched that, too. I learned how to make homemade spaghetti sauce, which was awesome…and very messy when I accidentally dropped some of the tomato puree on the kitchen floor. Shorts one day and coats the next. Seriously. This winter-to-spring weather is a strange mix of sunshine and misery. A new desk! Preferably a larger one. One that will allow me to write on notebook paper and type on my computer at the same time…Oh! And hold coffee. I would REALLY like a nice bookshelf, too, since well—and don’t hate me—my books are sitting on the floor. I have yet to move my bookshelves from my second-to-last move. What can I say? I move a lot. I bought a new cat, and I named it Happy…after my broomstick, also named Happy, because sweeping made me happy? (I don’t know.) But then my friend showed up and also bought a cat, and upon hearing my name for my new cat, she named her new cat Happy…and none of this made me happy at all. Death Before Daylight is on sale for $3.99 right now! That’s pretty neat. That means you can read the entire Timely Death Trilogy for only $8.00…which costs less than one of those novelty horse masks. You know. Those ones. To celebrate, the sale of Death Before Daylight, here’s an excerpt! “You’re okay in a fight,” I teased, watching the aggravation flicker over her gaze. Autocorrect. It Thinks It Knows Everything. I have this problem ALL THE TIME, particularly while writing The Tomo Trilogy. One of my characters actually is named Miles, and my laptop—despite my attempts to change the settings—insists on lowercasing his name because it’s a noun (not a proper noun). Don’t even get me started on invented words and names. Maybe it’s just me, but I treat my pens as a writer the way most readers treat their books. I do not lend them out, because they rarely make their way back to me. (And I buy expensive pens.) I know many writers use laptops nowadays, but I write a lot of my novels by hand before I type them up, so there’s a certain amount of familiarity for me when it comes to pens. I might even get upset when I have to throw one away, because—well—it helped me write chapters 1 through 20 in my latest WIP. Picking the PERFECT name is hard enough. I mean, there is so much to consider. The background, the culture, the time period, the sound, or just the personality. Because of this, I am in love with surfing BabyNames.com. It’s one of my most visited websites. Even when I’m not writing something new, I’m browsing it, because who knows when I’ll need a new list of names to use? This has caused some interesting scenarios, including the one you see in my card. That actually happened while I was attending college. I was browsing BabyNames.com in between classes, and a girl stopped me to tell me congratulations. I gave her the strangest look (and actually replied “For what?”) She walked away like I was the strange one. It took me half a day to realize what transpired. Trying to Choose a Title Titling your work can be a difficult, maddening journey. Even though publishers often change titles, it’s nice to have a working one that feels complete or one that will catch an agent’s attention on a query letter. This issue is especially important for self-published authors, because, well, they literally have to choose it. Cue the madness. This could mean considering trends (like short titles when I made this or the longer, poetic titles now), or it could mean concentrating on symbols throughout your story. 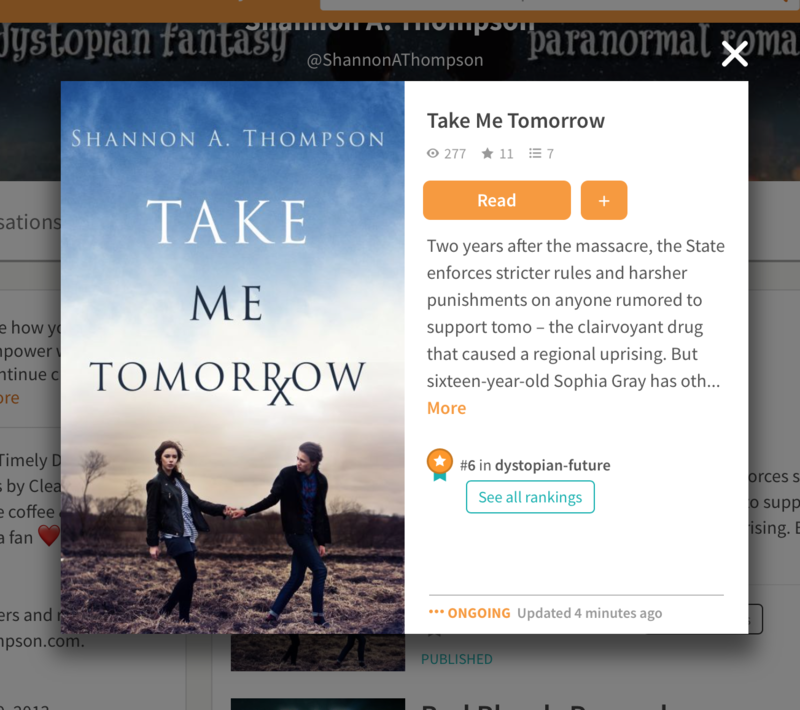 I actually wrote an article about this—Titling Your Novel—but the ironic part is that I wrote this article a LONG time ago, when Bad Bloods was called November Snow and when November Snow used to be called It’s Only a Matter of Time. (See? Those titles can get out of control.) I’ll have to rewrite that article soon. Okay. So this card is a bit of an exaggeration, but…not really. It’s the symbolic version of what ACTUALLY happens in my head. I am a coffee addict, so without it, my writing brain wanders to places and scenarios and characters that have NOTHING to do with what I should be concentrating on. Hence the magical forest. So how about you? What did these writer problems remind you of? Share your story below. Feel free to share and use these as well! On a side note, I could always continue to make these cards as well. Just let me know if that’s something you’d like! “Do you think fate’s possible?” she asked, and I stiffened. Fate was a reality, but it wasn’t a beautiful or angelic thing. It was a heart-wrenching nightmare. And we’d fallen blindly into it. We had no escape. It was happening, and it was up to me to guarantee our survival of it. She smiled and pulled me down to kiss me, even though I knew she wouldn’t if she understood the ramifications of it all. Her kiss could kill us, and my consent signed our death certificates, selfishly and without control.